Yoga helps us to realize our oneness with infinite intelligence, supreme power, to “Anant” and most importantly to our own self. Yoga is a conscious effort for union of spirit to be blissful. It is a timeless science behind all true religions and spirituality to realize the oneness of the soul with the entire universe. It is a science of union with God. This posture may look like imposing to those who haven’t attempted it. Nevertheless, it is an extremely powerful asana. It is called the "king of asanas" because of its overall effect on the whole body. For beginners, it is better to ask a friend to help you with this in the beginning. Kneel down on your yoga mat. Interlock the fingers of your hands and place them and your forearms on the yoga mat. Keep the elbows fairly close together. Place the back of your head into the hollow of the palms (not on the palms or fingers). Rise up off your knees and take a step or two towards your head. Inhale, and slowly raise the legs until they are vertical. Keep your back straight and try to relax. Breathe slowly and deeply from the abdomen. Concentrate on the brain or the pineal gland between the eyebrows. To come down, bend your knees and lower one leg and then the other. The headstand increases circulation to the brain, which causes improved brain function (intelligence and memory) and increased vitality and confidence. It stimulates four of the most important endocrine glands - the pituitary, the pineal, the thyroid, and the parathyroid glands that are responsible for our very existence, for they keep the body mechanism in good working order. Pituitary gland is called the master gland of the body. As a consequence, the practice of the headstand helps us to get relief from many of our troubles, physical as well as mental, or to prevent them. It has a very beneficial effect on the whole body. The quality of sleep is improved. Poor sleep is often due to an excess of nerve impulses from the reticular formation to the cerebral cortex in the brain. 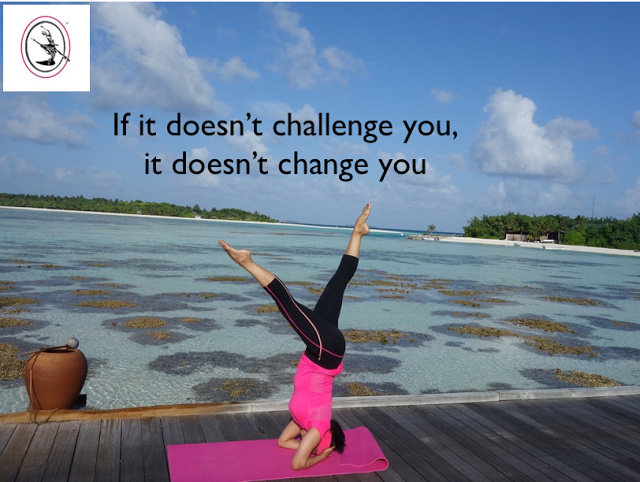 The headstand causes an increase in circulation to the neck, which stimulates the baroreceptors in the neck. This calms the reticular formation down, causing reduced nerve impulses to the cerebral cortex. This results in a peaceful, deep steep. Because of the many benefits of the headstand, the yogis often refer to it as the 'king of the asanas'. Don't do the headstand if you have high or low blood pressure. First get your blood pressure normal by natural means such as good nutrition, aerobic exercise and the other asanas. Even just giving up salt and taking garlic daily (tablets or in cooking) will cause a substantial reduction in your blood pressure. Atherosclerosis (blocked blood vessels) and any history of strokes are also contraindications to doing the headstand. You must improve your circulatory system first, before attempting it. If you have any serious eye diseases, ask your eye specialist's advice about doing the headstand. Avoid this exercise if you are suffering from constipation, when the stool is excessively dry, if you have pus in your ears, if you are suffering from chronic nasal catarrh, or from very weak eye capillaries. Avoid this exercise if you have an organically defective pituitary, pineal or thyroid gland. If you suffer from a neck injury or advanced arthritis in your neck, again you must improve your neck condition first. See your chiropractor, follow the nutritional principles in this book and do the other asanas to improve your neck. If you have a serious neck condition and you wish to get the benefits of the headstand, you can purchase an inversion apparatus, which gives you all the benefits without compression of the neck. In fact, this equipment produces traction of your neck, so your neck condition will actually improve. Don't let any minor neck pain stop you from doing the headstand, since most of the weight of the body is actually supported by the forearms. There is very little pressure on the head and therefore very minimal compression of the neck. 2. Kapalbatti- Kapal in Sanskrit means the skull and batti is Diya or lamp. Doing kapalbatti gives you shining skull/glow on your face. As the removal of carbon dioxide from the body is initiated, so it leads to blood purification also. This makes your skin healthy and beautiful. 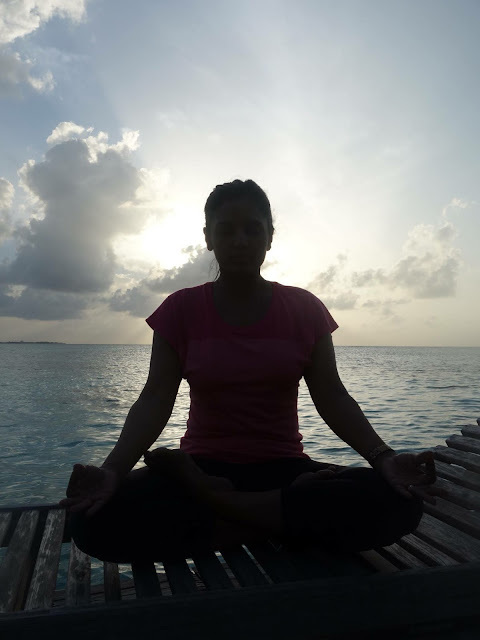 You can sit in either Sukhasana or Padmasana. Hands in Chinh mudra (index finger and thumbs touching each other) and breathe powerfully. Exhale and contract your naval in. Pump the abdominal muscles forcefully. 3. Anulom Vilom/ Opposite nasal breathing/ Alternate Nostril Breathing- It is one of the most effective pranayama (breathing exercises) to purify the mind and body. Anulom Vilom offers benefits in curing most of the internal body conditions and is very useful in releasing stress and anxiety. Anulom Vilom pranayama can be performed by people of all ages. To perform Anulom Vilom, sit in Sukhasana or Padmasana. Left hand in chinh mudra and right in Vishnu mudra. Vishnu mudra is when index finger and middle finger touch the base of the thumb. The ring finger, little finger and the thumb remains up. You should first close your eyes and relax all your muscles for while. Then, inhale from your left nostril while keeping your right nostril closed with the thumb of your right hand for the count of 4. Retain the breath for a 16 counts and exhale from your right nostril with your ring fingers and little finger closing your left nostril for the count of 8. Then, once again take in the breath from your right nostril. Finally, exhale from your left nostril while closing your right nostril with your thumb. This will complete one round of the pranayama. You could perform this exercise for around 15 minutes while taking a minute rest after every 5 minutes. Anulom Vilom benefits us by balancing the body’s three dosas. Any imbalance in the three dosas will lead to illnesses. You can also awaken the Kundalini if you focus on the Moolandra Chakra while performing this exercise. Anulom Vilom also benefits us by bringing relief to conditions like sinus, respiratory problems, and asthma. Removing of artery blockages and maintenance of cholesterol levels are other Kapalbhati benefits. It is also effective in dealing with conditions like constipation, flatulence, diabetes, and obesity. As Anulom vilom has no side effects it is considered to be very effective for weight loss. However, women should avoid performing Anulom Vilom during pregnancy and periods. Individuals who suffer from heart troubles should not perform this exercise with too much force and should practice it under the guidance of a qualified instructor. For you to reap the Anulom Vilom benefits, it is important that you practice it daily. It is also essential for you to combine it with a yogic diet that is purely vegetarian and Kapalbhati (Cleansing). Kapalbhati benefits the body by helping to flush out toxins. 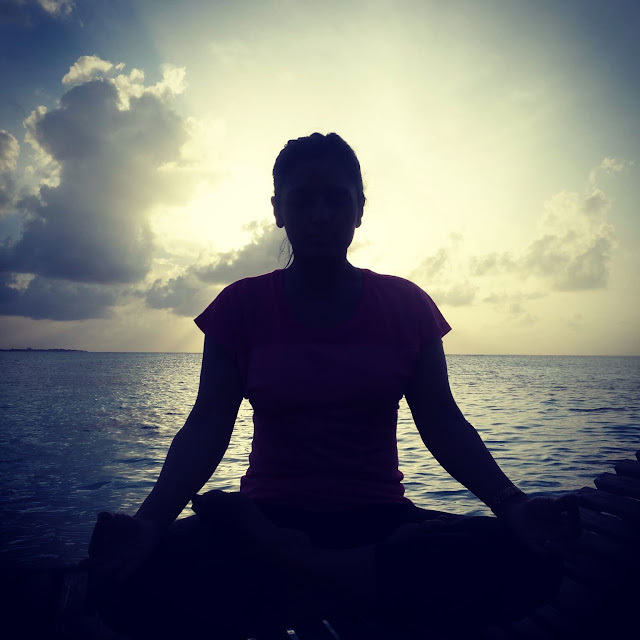 Anulom Vilom Pranayama is another type of pranayama. In this breathing technique, you inhale from one nostril at one time and release the breath through the other nostril. You alternate between the two nostrils at a regular comfortable pace. It is important that you breathe deep into your lungs and not into the stomach. Most elements that absorb oxygen are in your lungs. Sit with your spine erect and legs straight ahead of you. Fold the left knee like sitting in cross-legged position. Fold the other knee. Keep the right foot close to the knee of left foot. Take the knee over and above the left knee. Take the right hand behind your back. Now lift the left hand up. Stretch it. Take it across the right knee and towards the right ankle. Twist the waist and the spine. Look across your right shoulder behind you. If you can go deeper then, join both the hands from under your right knee. It improves the flexibility of the spine and makes it supple. It improves the breathing capacity. The chest and hip joints also become more elastic. After waking up and freshening up, one can do Yoga. Start gently. Yoga can be done empty stomach. Early morning sun rays are especially beneficial for us. Do yoga with the sunrise. Attempt few Surya Namaskars or Sun salutations. You will see and feel your mind and body glow and radiate like Sun.